So as 2013 comes to an end, I thought it would be fun to look back at this year's posts and share the ones that you guys loved the most! Here’s a look at 5 of your favorites! These are the posts that got the most traffic, the most likes, the most shares and the most love from all of you. Be sure to click over to the original posts so that you can remind yourself of these very helpful tips! 1. Top 5 Wedding Color Mistakes and Ways to Avoid them! 2. 10 Wedding Color Palettes You Need to Consider! 5. 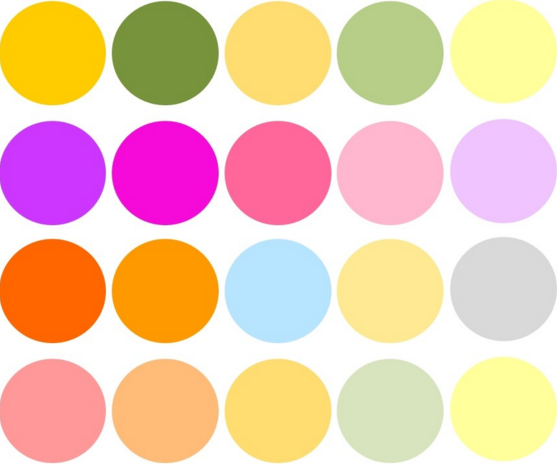 10 Wedding Color Palettes that Aren't Boring! So there you have it! Our top 5 posts from 2013 here on The Perfect Palette! Thanks for loving these, for sharing these, and for being the best readers a girl could ask for. Happy Holidays. Thanks for following and being a part of this colorful journey of mine! 5 Comments " Top 5 Posts of 2013 "
I can see why these made the top 5. These are such helpful posts!!! Such an awesome year of content! These were definitely such helpful posts! I'm sure many brides in 2014 will be glad for these resources too!